A USB cable carries the analog mic and earbud audio for our bike helmets; the connectors are cheap, durable, and separate easily. 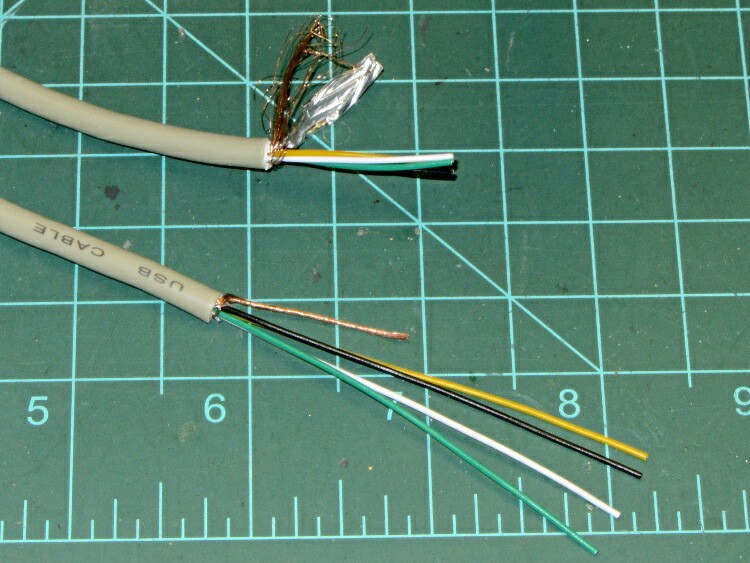 I cut a 2 m “USB extender” cable (which, according to the USB guidelines, isn’t supposed to exist) near the A male connector, then wire that part to the helmet and the A female part to the GPS+voice board. According to Wikipedia, there’s a standard color code for the wiring inside USB cables and yellow isn’t in the list. For this manufacturer, it seems that yellow is the new red. In previous USB extenders the red / black wires were a slightly larger gauge than the green / white data pair, but in this cable they’re not. That might matter if one expected the cable to carry, oh, let’s say an amp of battery charging current.